Head of School Mrs. CB Neugroschl announced that Yeshiva University High School for Girls/Central was recommended for accreditation by the NYSAIS (New York State Association of Independent Schools) Commission on Accreditation and approved by the NYSAIS Board of Trustees at their recent meeting. Additionally, NYSAIS is a member of the National Association of Independent Schools’ (NAIS) Commission on Accreditation, which includes nineteen regional and state accrediting agencies. As a member of the NAIS Commission on Accreditation, the prestigious NYSAIS accreditation process is recognized across the United States and throughout the world. “While the recognition is important and is a true milestone for Central, being part of a community of learners engaged in reflection and always examining and improving what we do to deliver the best yeshiva educational experience for our students is the true mark of distinction for which I am most proud and grateful!,” added Mrs. Neugroschl. NYSAIS accreditation represents the culmination of an in-depth self-study, which includes an exhaustive internal and external examination of all aspects of the school community, including mission and culture, governance, educational program, student and student services, finance and school operations, parents, faculty, and non-teaching personnel, community relations, and communications. 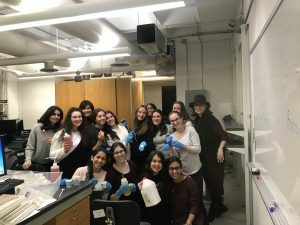 Through a thorough process of continual self-improvement, which includes visiting teams of professionals from outside the school community, Yeshiva University High School for Girls/Central fulfilled the accreditation requirements. Sixteen sophomores returned last week after spending a month in Central’s Ulpanat-Tzvia Exchange Program in Israel! Their cohort was the biggest yet, and they returned with new understandings of Israeli culture and history, wonderful new friends, and an infectious enthusiasm about their experiences. 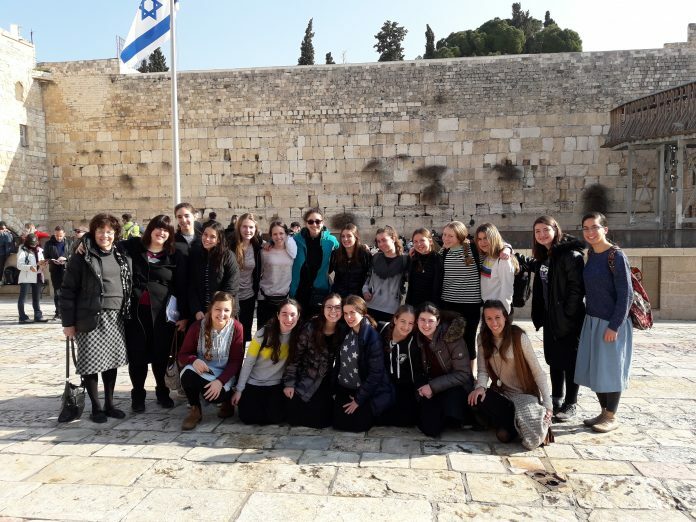 As exchange students at Ulpanat Tzvia in Maale Adumim, the students had the unusual opportunity to live in a dormitory with their Israeli peers and join their Judaic studies classes, as well as travel to the Old City, Har Herzl, and other important sites around the Jerusalem area. 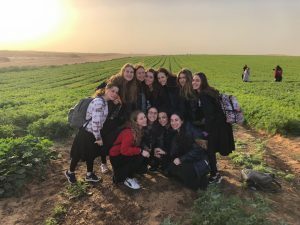 Both students also reflected, at length, on the deep meaning of learning and practicing Judaism in Israel, the warmth of their Israeli counterparts, and the fascination in being exposed to a completely different high-school culture. Fortunately, the experience is not over; some of the Israeli students from Ulpanat Tzvia will be joining Central this coming Sunday. Welcome back, sophomores! You were missed! Senior Eliana Ellerton said, “The day began with a fascinating lecture on the work of 3D printing in the creation of usable organs. I had previously heard of technology like this existing, but to hear from a man who worked in this field on a day-to-day basis was incredible. Innovations like this will change the medical field as we know it, and it was really cool to listen to.” YUHSG Science Institute was well-represented by Michal Auerbach (‘14), who spoke eloquently about her summers of research experience at Garcia. The physics magic show highlighted atmospheric pressure, sound waves, and the particulate nature of light, and the girls enjoyed non-Newtonian fluids and “playful polymers” (aka Silly Putty). Students returned to school excited and inspired by the potential in scientific research.